Leonard Anderson Abercrombie was born on 1 December 1832 in Macon County, Alabama. Milo Bolling Abercrombie and Sarah Lee Haden appeared in the US federal census of 1 June 1850 in Macon County, Alabama. Other members of the household included Leonard Anderson Abercrombie, Milo Bolling Abercrombie, John Comer Abercrombie, Robert Haden Abercrombie, George A. Abercrombie, Sarah Comer Abercrombie, Annie B. Abercrombie and Charles A. Abercrombie. He married Lavinia Afton Chilton, daughter of William Parish Chilton and Mary Catherine Morgan, on 1 January 1860 in Macon County, Alabama. Anthony Martin Branch and Amanda Melvina Smith appeared in the US federal census of 1 June 1860 in Huntsville, Walker County, Texas. Other members of the household included Leonard Anderson Abercrombie, Antonia Branch and Lavinia Afton Chilton. 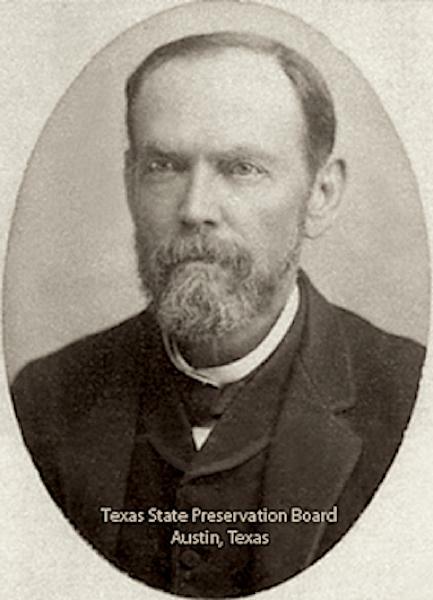 He represented Walker County as a delegate to the state Secession Convention, and during the Civil War served as lieutenant colonel of Col. Henry M. Elmore's 20th Texas Infantry, organized in the spring of 1862 of mostly middle-aged men. On 10 May 1862 he joined for duty and enrolled as a private in Huntsville in Capt. Jesse C. Dickie's Company, Elmore's Regiment, which subsequently became Co. H, 20th Texas Infantry Regiment, CSA. Many of the former members of the 9th (Nichols') Regiment Texas Infantry enlisted in this regiment. He was elected Lt. Col. on 14 May 1862. He was absent sick at home in Walker County from 18 January 1863 to sometime in March 1863, and subsequently was absent in Walker County on sick leave for acute conjunctivitis from 28 September 1863 to 23 Jan 1865. On general court martial, special order no. 322, Dept Hd Qtrs, Dec. 29, 1864. Leonard Anderson Abercrombie and Lavinia Afton Chilton appeared in the US federal census of 1 June 1870 in Huntsville, Walker County, Texas. Other members of the household included James Buford Abercrombie, Mary Lee Abercrombie, Lavinia Chilton Abercrombie, Ella Hadyn Abercrombie and Frances Amelia Abercrombie. Also in the household were three domestic servants. In 1873 Leonard Anderson Abercrombie entered into a law partnership in Huntsville with Thomas Jewett Goree. Leonard Anderson Abercrombie and Lavinia Afton Chilton appeared in the US federal census of 1 June 1880 in Walker County, Texas. Other members of the household included Lavinia Chilton Abercrombie, Ella Hadyn Abercrombie, Frances Amelia Abercrombie, William Chilton Abercrombie, Leonard Anderson Abercrombie and Corinne Afton Abercrombie. The following appeared on 20 January 1881 in The Galveston Daily News: Messrs. L. A. Abercrombie and , of the Huntsville bar, are guests of the Washington. Both gentlemen are in attendance upon the high courts. Leonard Anderson Abercrombie died on 23 December 1891 at age 59 in Philadelphia, Pennsylvania. His wife Lavinia Afton Chilton became a widow at his death.